*AUTOPILOT: A single crew member can fly the ship with only voice commands, even through Hyperspace, and the ship can even fire weapons in this manner. The single crew must use the Command skill to decide how many actions the ship can perform, much like commanding troops or NPCs. **GRAVIMETRIC DRIVE: This form of propulsion differs from normal thrust propulsion in that it starts slow, but the ship builds up both speed and maneuverability as it propels itself. In time, as it increases in speed, a ship with a gravimetric drive can achieve greater speeds and maneuverability than it would using normal propulsion. In the case of the White Star cruisers, they start at Space Speed 2/Maneuverability +1D, and increase at +1 to both every round the ship flies to build up speed. The Safety Limit is Space Speed 8/Maneuverability +3D (+6/+2D). Normally, other capital ships with such drives take longer to build up speed/maneuverability (+1 per minute/10 rounds) and have a Safety Limit of Speed +4/Maneuverability +1D+1, but the White Stars were built somewhat like a mix of capital ship and space transport, and the highly advanced Vorlon tech helps a lot too. As with most ships with gravimetric drives, the ship CAN increase its Speed/Maneuverability past the Safety Limits. Any increase to Speed/Maneuverability beyond the Safety Limits (Space Speed 8/Maneuverability +3D) will incur Dex checks from the crew, starting at Moderate Difficulty at Space Speed 9/Maneuverability +3D+1 (failure results in 4D damage). For every Speed/Maneuverability increase of +1 past 8/2D+1, the Difficulty will increase by 1 level (+5), starting at Moderate, up to Heroic Difficulty at Space Speed 12/Maneuverability 4D+1, with the damage increasing by +1D at each Difficulty increase (8D at Space Speed 12!). Also, if the Speed entries above list Atmosphere, then the gravimetric drive can work in such an environment, though GMs may wish to incur penalties for operating a ship with this kind of drive within the gravity well of a planet. 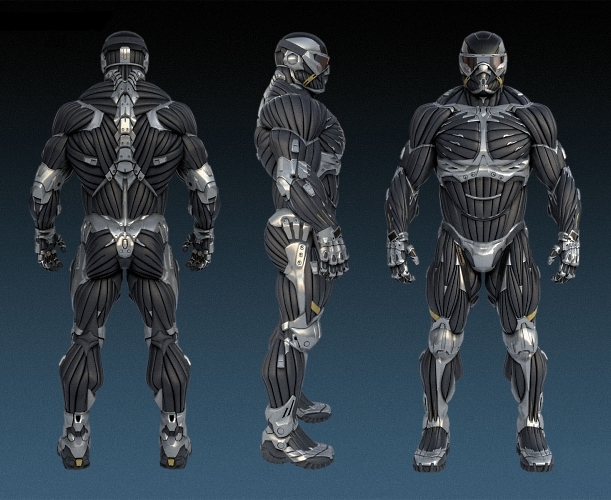 ***VORLON BIO-ARMOR: The hull can disperse the energy of ranged energy weapons to an extent, adapt to weapons it is struck by, and heal itself from incurred damage. -Energy Dispersion: The hull counts as having energy shields on all firing arcs at the listed Dice code (+1D+2). -Damage Adaptation: Every time the hull is used in a battle against a specific kind of weapon and survives, it will reduce the damage of that weapon by -1 pip in the next engagement, for a maximum reduction of up to the listed Dice code (-1D+2). It still takes time for the hull to adapt, at least a day before the next battle against the specific weapon or weapon type. -Healing: The ship counts as a character and heals as a character would, taking the same amounts of time to heal injuries depending on their severity. This can be affected by crew for enhanced effects or sped up, much like medical care, using skills like Repair Skills and Bioengineering (an advanced skill), and other similar skills. -Notes: Energy Dispersion and Damage Adaptation both mention working acording to a dice code. It is easy for these two abilities to work on the same dice code, but they CAN have different dice codes listed. Healing does not list a dice code, but if GMs wish, the dice code can be a bonus for the ship's crew when using their skills to affect healing for the ship. Also, when making modifications to these abilities and their dice codes, it is left to GM discretion on wether the dice codes can all be enhanced together as a single ship system, or as three separate systems (hence why these abilities can have different dice codes). A good rule of thumb would be to have a standard Difficulty Level for enhancing the Bio-Armor dice code as a whole for all three abilities, and then reduce the Difficulty Level if only modifying one specific ability of the Bio-Armor. ****MINBARI STEALTH DEVICE: The Minbari employ a powerful stealth device that jams enemy targeting systems, making it difficult to get a target lock on their ships. This device reduces enemy Fire Control dice by the die code listed for the stealth device. In essence, it works exactly like the "Enemy Targeting Jammer" from a Star Wars A-Wing, using the Sensors skill for use, is part of the Sensor systems, but works at capital scale. This means starfighters will be affected by the 6D scale difference, and may effectively have 0D Fire Control on their weapons (the penalties to Fire Control will not go past a reduction of 0D). 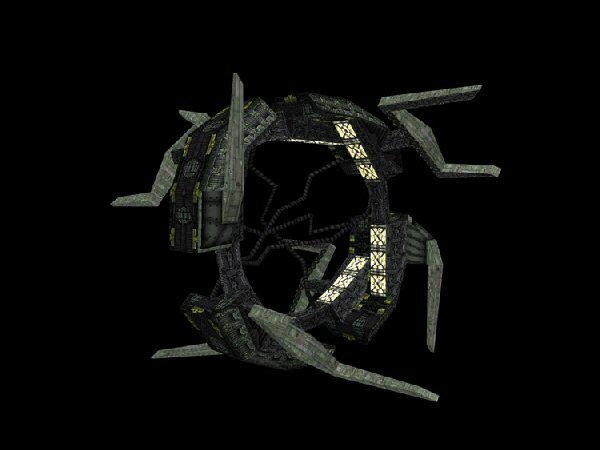 *****SENSORS: The White Star's sensors, like much of the rest of the ship, are a mix of Minbari and Vorlon technologies. As such they are able to detect many things that other ships of the younger races would never be able to detect. For example, they can detect disturbances in Hyperspace created by Vorlon and Shadow technology that are artificially created to hide entire fleets with a method of Hyperspace stealth. Any other kind of ship created by the younger races, including Minbari vessels, would normally not be able to detect such anomalies. Also, as per the movie "In The Beginning" Minbari sensors are known to disable the ability of Earth Alliance/Earthforce ships to use Hyperspace Jump Engines to create jumpgates. Earthforce may have fixed this problem after the Earth-Minbari War (unknown) and it is also unknown if any other species starships were affected this way. ******BEAM WEAPONS: Beam weapons can fire a constant beam at a target and maintain the beam on a target after intitial firing. As long as the gunner makes an appropriate gunnery skill roll every round against the range difficulties for the weapon (usually Easy at close range, Moderate at medium range, and Difficult at long range), the beam stays on the target and automatically deals damage every round against the target. Using beam weapons in this way does not take into account movement of the target ships, such as the attacking ship flying towards a target and potentially flying past it, or other maneuvers. Also, if the target can maneuver out of the fire arc of the attacker's beam weapon without the attacker's fire arc being adjusted (if it can be), then the "beam weapon" effect is negated and the attacker would have to readjust to target and attack again. Beam weapons can also be used against a group of ships flying close together, like a squadron of starfighters or two close capital ships. If the attacker makes an attack roll at +1 Range Difficulty Level for the beam weapon, they can wave the beam across several ships as a single attack. Easy rule of thumb is that the targets must be in the same fire arc (GM discretion). For every Difficulty Level the attacker rolls above that needed to fire the weapon on a single target, increase damage per extra Difficulty Level, as the beam is being kept on the same target long enough to bore into it for maximum damage. -ADVANCED TECHNOLOGY: The White Star is a mix of Minbari and Vorlon technology. Minbari technology is already far more advanced than the other younger races, with perhaps the Drakh being the closest in relative technology level. This alone would require a Technology skill roll to understand the technology involved, starting at Moderate or Difficult level. Vorlon technology, that of a First One race, is much more advanced beyond that of the Minbari and Drakh, equaled only by the Shadows and other First Ones. This would make any technology rolls for understanding the Tech no less than Very Difficult, and then only under the utmost best circumstances. Otherwise, these technology skill rolls will always be of Heroic Difficulty, perhaps even with a higher target number in mind. Also of note, due to the White Star having Vorlon technology included in its design, certain features that function like other spaceships may have a more expanded ability to perform their functions. For example, see "Sensors" above. -MANEUVERABILITY: The White Star was designed with fighting both capital ships and starfighters in mind. As the ship is highly maneuverable, it has the potential to dodge starfighter attacks, though it still counts as capital scale when doing so (relying on built up speed and maneuverability from the gravimetric drive). However, the White Star's weapons are capable of targeting starfighter scale spacecraft and other such scaled objects without any difference in scale dice, and weapon damage stays capital scale. -POWER TRANSFER: The crew can pull pips from any numbered stat that uses power (Space Speed, Maneuverability, Energy Shields, etc), and add these pips to the desired weapon's damage dice. These pips can be taken as much or as little as desired. After every power transfer and weapon attack, roll 1D: on a roll of 1, the ship loses power for 1 round per pip of power transferred. For every 3 pips transferred, roll +1D, and any roll of 1 on these extra dice has the same result. Power is replenished after this time has passed and the ship can then fly, maneuver and attack with weapons, as well as any other functions that require power to use. until then, the ship is dead in space and unable to move or fight. Power Transfer can be done with any ranged energy weapon, though of course it usually makes more sense to use the weapon with the most damage and/or range. -Example: In one episode of Babylon 5 to attempt using telepaths against the Shadows, a White Star was used to destroy a Shadow vessel while it was telepathically stunned and immobile. The White Star had to transfer power from other systems to boost the damage of the Fusion Beam to kill the Shadow ship. With the inception of the White Star Medium Cruisers, the Minbari, Anla'Shok and the Army Of Light werre able to stand up to the Shadows and Vorlons, force the events that led to the remaining First Ones to leave the galaxy, challenge and win against the Earth Alliance's Omega Destroyers, and ultimately bring piece to the galaxy and pave the way for the creation of the Interstellar Alliance. Without these marvelous ships, it is very possible that all would have been lost, the Vorlons and Shadows continuing their cycle of conflict through due to opposing idealism, and making the Younger Races pay the price each time. The White Stars, used in the right hands, helped changed the path of the entire galaxy. Naturally, ISA President John Sheridan and the rest of the Interstellar Alliance would wish to continue the trend of using such powerful ships. As time passed and the White Star fleet decreased in number, it was time for the ISA to begin building its own fleet of ships, and they used the White Star cruisers as the basis. The first step was the development and production of a destroyer class White Star, a much larger ship that could really bring it to the battlefield and win just about any conflict it was thrown against. This project culminated into the creation of two prototype destroyers, the Excalibur and the Victory. 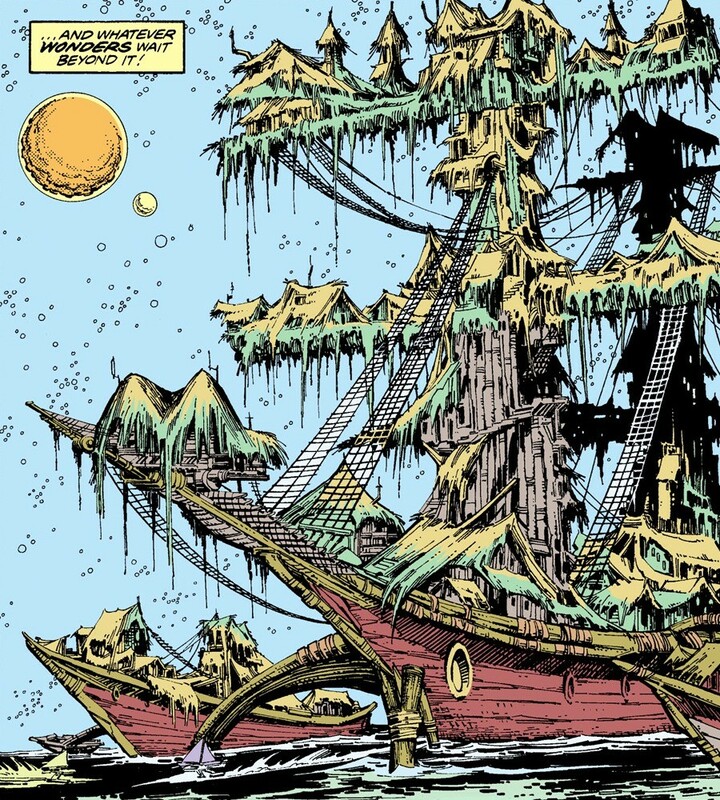 Due to the Drakh's attempted invasion and destruction of Earth, the Victory was lost and the construction shipyard was destroyed on the Drakh's way out. This left the Excalibur as the only ship of her kind in the galaxy. The ISA and EA would attempt to start over and rebuild, but it would take time. 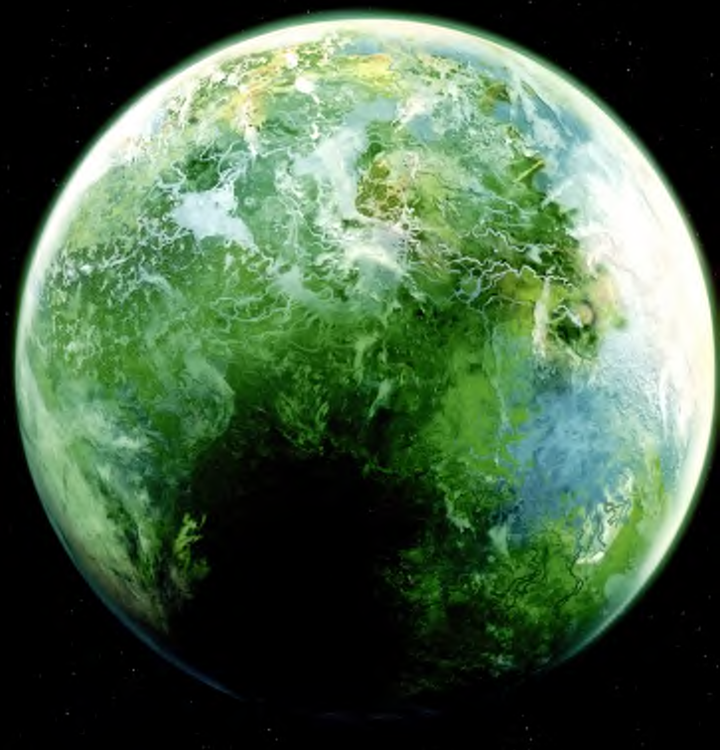 Until then, with a galaxy constantly in turmoil while adjusting to life as part of the ISA, the Drakh's secret conflicts that lasted many years to come, the Crusade to find a cure for Earth, and who knows what other conflicts that would occur, the ISA needed ships, and it needed them as quickly as possible. One natural approach was to begin construction of new White Star cruisers. While the destroyers were meant to take the cruiser's place in heavy battles, the fact remained that the cruisers had held their own against unthinkable odds, far exceeding their original expectations. There was already a need for more of the White Star cruisers, and a natural thought was to take what had been learned in the creation of the White Star cruisers and destroyers, and take a simpler solution: modifying cruiser designs for better hull and heavier weapons, a stopgap to give the ISA ships that could handle more workload in combat, while keeping expenses low as these were modifications on the already established White Star cruiser design. And so, the White Star Gunship came to be. Somewhat longer, larger and heavier than a White Star medium cruiser, these gunships expand the hull somewhat to make room for a heavy fusion beam cannon, a weapon developed from the Minbari's fusion beam weapons, originally installed on the White Star cruisers in a "light" version, and later developing the "heavy" version for the destroyers. Other weapons and ship functions and capacities would be similar to the classic White Star cruiser. This ship is just as fast and maneuverable, thanks to the Minbari's gravimetric propulsion drive technology (or just as slow, depending on how one looks at it), and can bring to bear the other weapons the White Star is known for. The heavy fusion beam cannon is what sets this ship apart from the cruiser version, as it can now bring on firepower comparable to that of the destroyer class. Though only with the single weapon and not an array of multiples, tactical placement and implementation of these gunships can turn the tide of any battle. Thes eships, the "big brother" to the White Star cruisers, are more than capable of living up to the original's established legend, and perhaps making one of their own. Inside, the White Star gunship has similar facilities as the cruiser model in terms of crew, consumables, cargo capacities, and such. Between the expanded hull and the room taken up by the larger heavy fusion beam cannon, the ship has a little more of all of this compared to the cruiser, and not much more. This is no hendrance, but an advantage, as crews of White Star cruisers used to man the gunships have a very light learning curve to get the handle of the gunship. This allowed the gunships to have very short training periods once coming off the assembly line, and withina week or two they were able to enter full service, crewed by the well trained Anla'Shok Rangers. Though these ships take longer to construct compared to the medium cruisers, the ISA was able to begin fielding them relatively quickly to help fill the gap until the destroyer class White Stars could fully enter production to expand the ISA fleet.